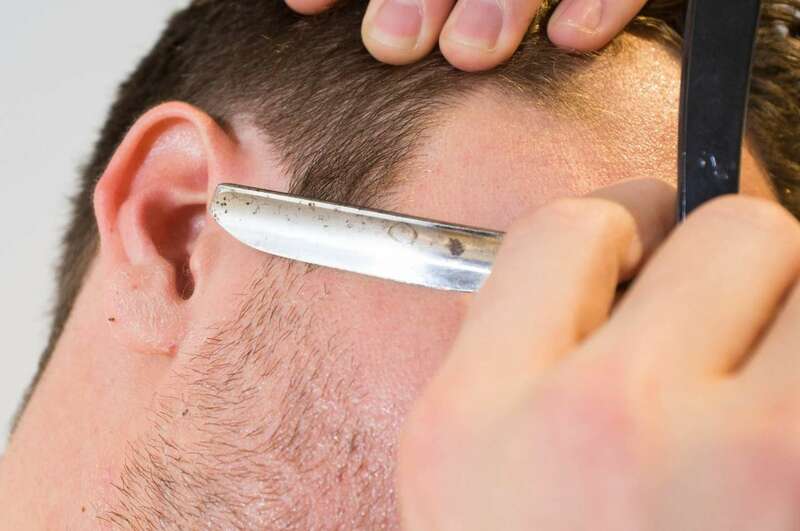 Shaving with a straight razor is a little tough at the beginning, but once you get used to it, its an extremely close shave and costs next to nothing once you have the gear. Come find out how your grandpa used to shave! Having a sharp razor is of utmost importance to this task. If you are using a dull blade, it will be painful, inefficient, and ineffective. 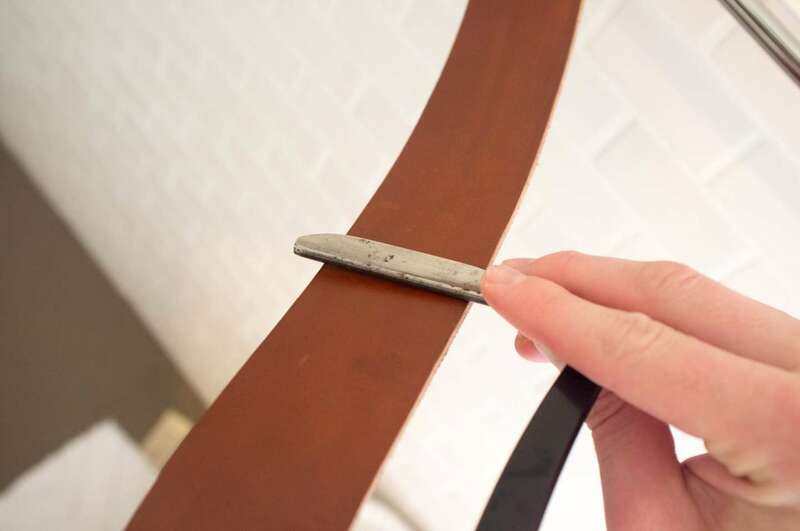 Holding your leather strap taut, run your blade almost lightly up and down the strap lightly. You want the sharp edge to face you when you're sliding away and to face the wall when you're pulling towards you. 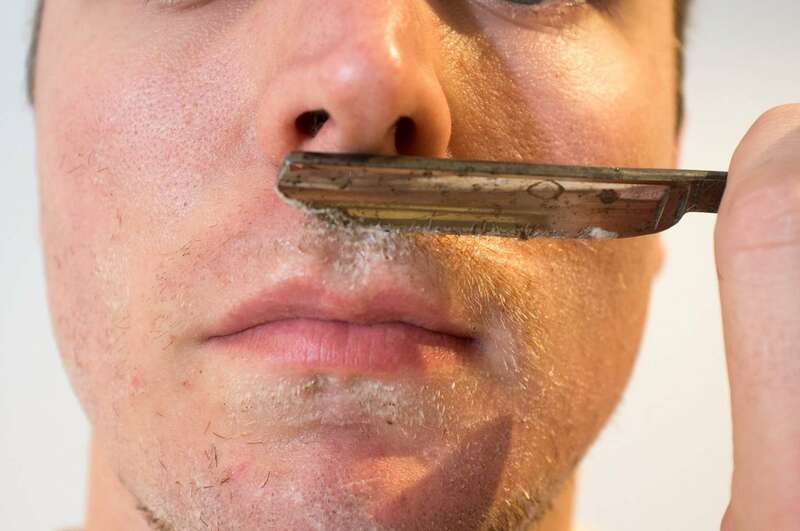 Do this lightly about 40 times to make sure you have an extremely sharp blade. Your grandpa probably used high lather shaving cream. That'll work, but a good low lather soap will do just as well. 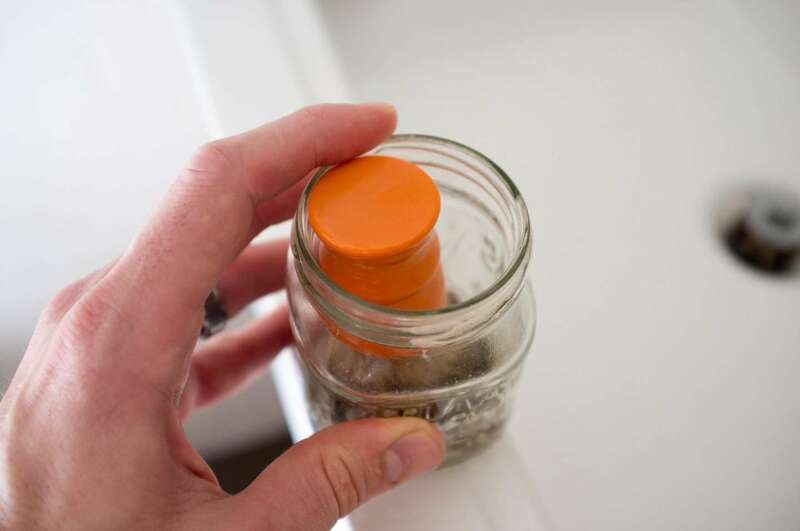 To soften my soap, I soak it in a small jar of hot water. I also soak my brush to soften it up. Drain the water you used to soak the soap. 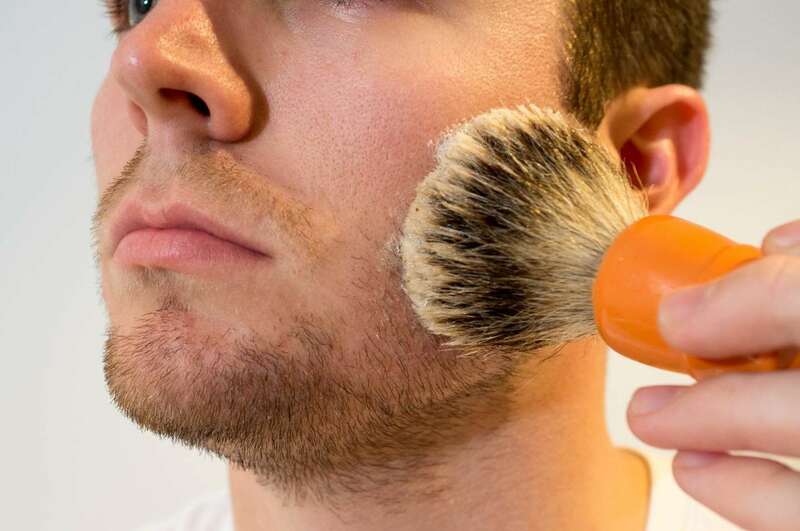 Then, stir up the soap with your brush and get a good layer going on your face. 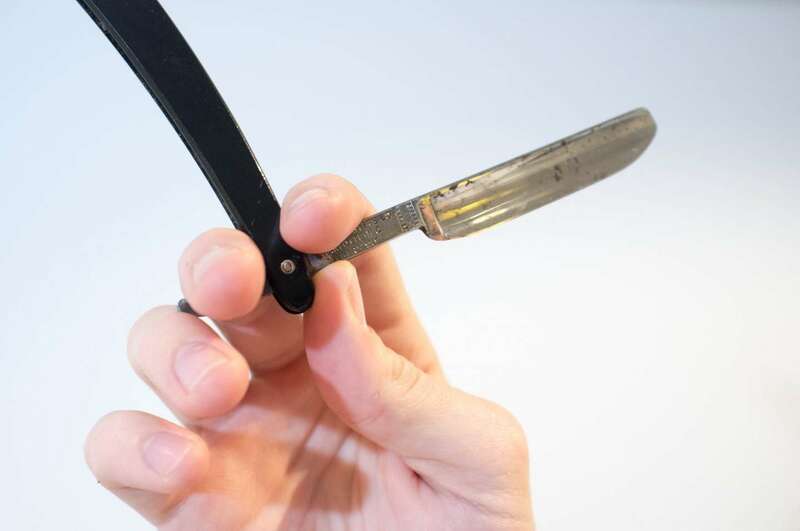 You will need to manipulate the blade a lot while shaving and this is the ideal grip. Notice how the blade was made for this? Pretty amazing. 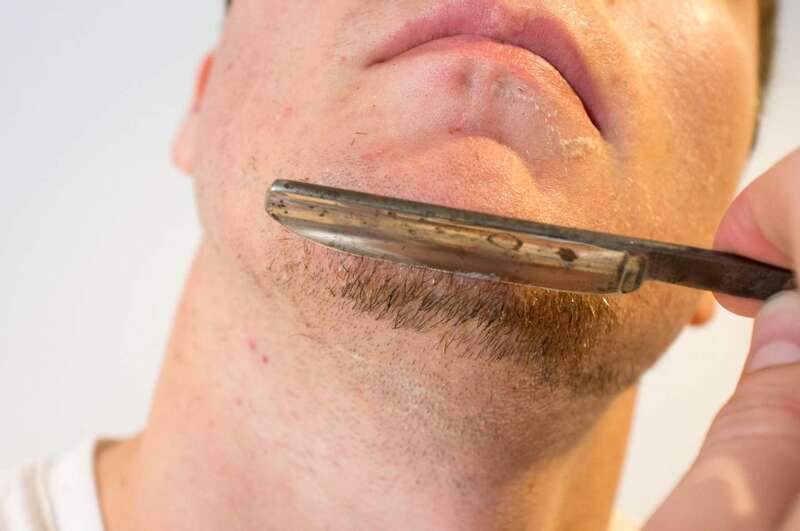 The 2 most important things to remember during the shave are the angle of the blade and the the tautness of your skin. Hold your skin completely taut and maintain a steady 25-30 degree angle and you're on your way to success. I usually have a towel handy to wipe the blade after I rinse it. Take it slow. It takes a while to get used to shaving like this. Working your way with short, easy strokes, and getting yourself used to holding the blade, shave all the easy to reach places. Its ok if you have to re-lather your face a couple of times. Your neck is the next easiest bit. 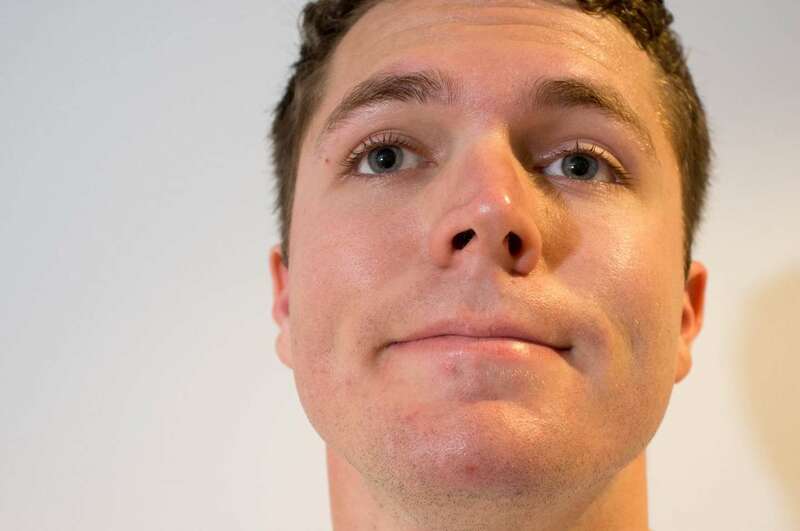 Lift your chin all the way up to keep the skin tight and go to town. If you're like me, you wish you could look like Magnum P.I. but you end up looking more like a 13 year old with peach fuzz so let's shave it off. 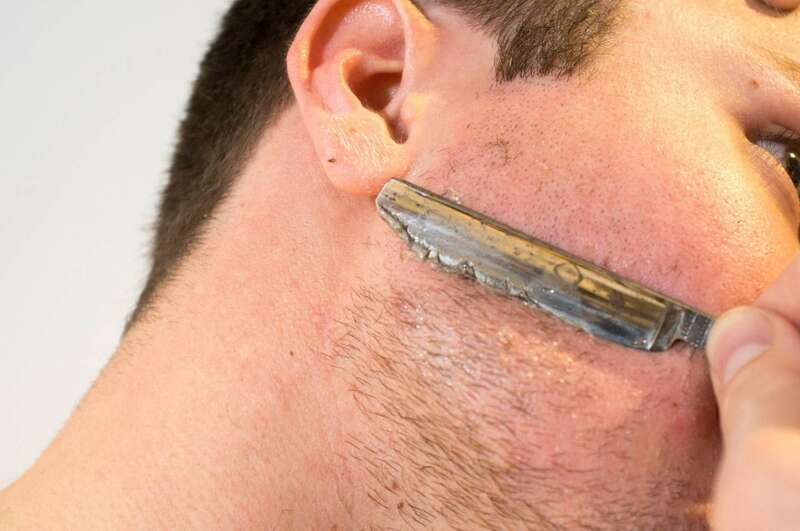 Just go slow and find some way to maneuver the blade while keeping your skin tight. Make sure to make a Hitler stache in the process. I like to rinse my face and re-lather for my chin and jawline. These parts are the hardest because they're either the thickest or the hardest to get your blade in. 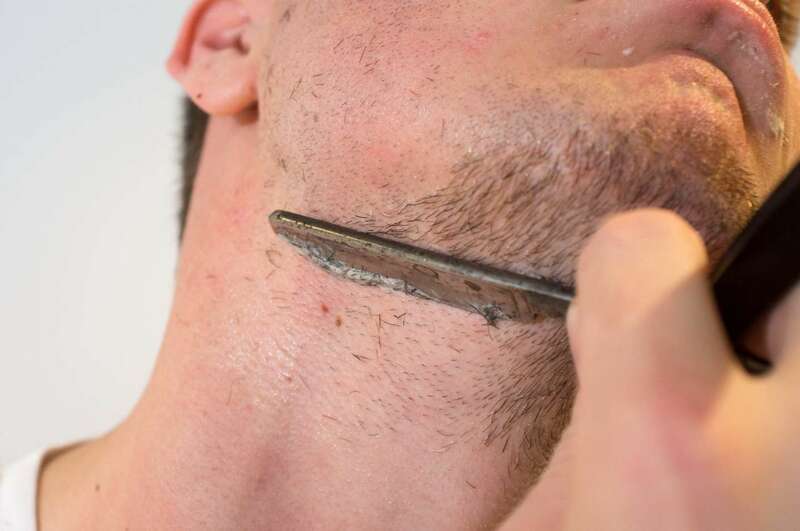 For my chin, I shave the tiniest bits at a time, making sure the angle of the blade is correct. For my jawline, I stretch my skin as much as I can to make the areas a flat surface before shaving them. It's going to happen and its ok. Enjoy your new baby face!